“The Vision of Saint John” a Bible-inspired early 17th century mannerism canvas painting by Domenikos Theotokopoulos, famously known as El Greco, now inspires visitors at the Metropolitan Museum of Art in New York. Based on the Book of Revelations (6:9-11), and originally commissioned in 1608 for the church of the hospital of Saint John the Baptist in Toledo, Spain, the painting depicts the opening of the fifth seal, supposedly at end of the world. It has many figures with elongated limbs and bodies that reject naturalism. While religion played a large part of El Greco’s art, this particular painting is said to be incomplete, because it features Saint John pointing upwards, to another portion of the canvas that seems to be missing. While this portion depicts “profane love,” unfortunately, due to various restorations and years or wear, we can no longer see the “divine love” that would have been depicted in the upper portion. While El Greco is considered to be one of the most famous Spanish painters, he was born in 1541 in Crete, Greece. At an early age, already trained as an icon painter, he chose to move to Venice and later to Rome, to work on his art style. But he didn’t truly become the artist he endeavored to be until settling in Toledo, Spain in the 1570’s. 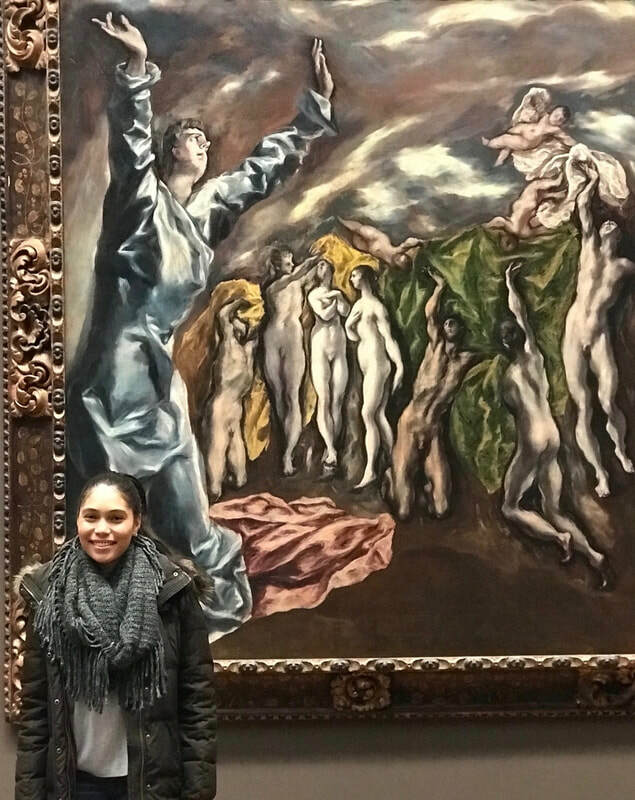 El Greco’s idiosyncratic and mannerist style boosted his career, inspired many others to follow in his footsteps, and triggered 20th century avant-garde movements. “The Vision of Saint John,” is one of several of his masterpieces in the European Paintings department, “1250-1800,” in Gallery 611, at The Metropolitan Museum of Art, 1000 Fifth Avenue, in Manhattan.